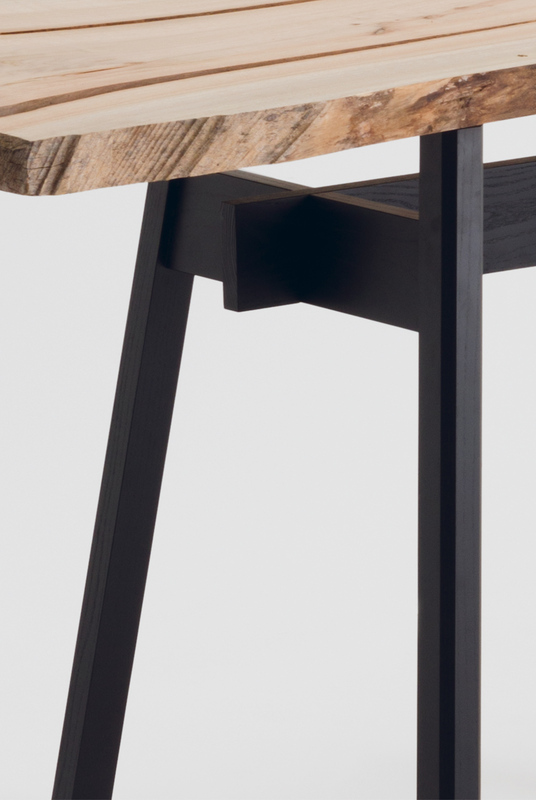 Kadai is a versatile trestle that can be paired with a live edge wooden slab or glass top. 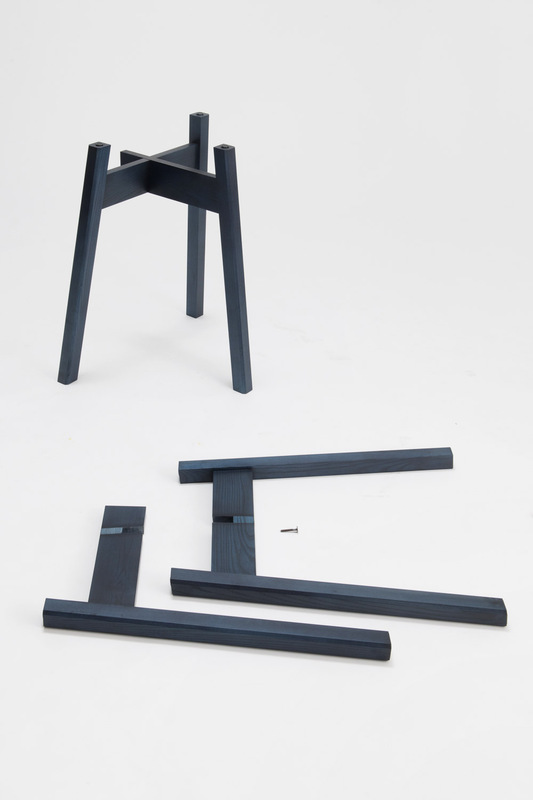 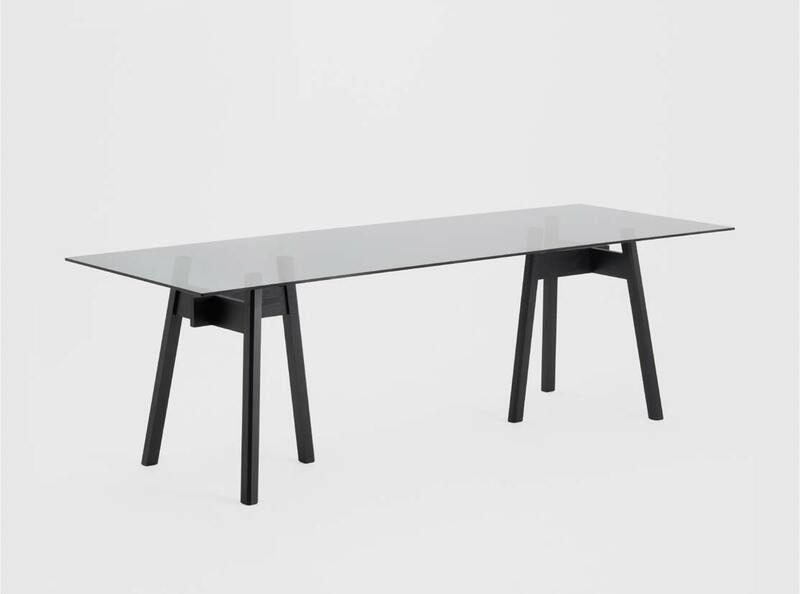 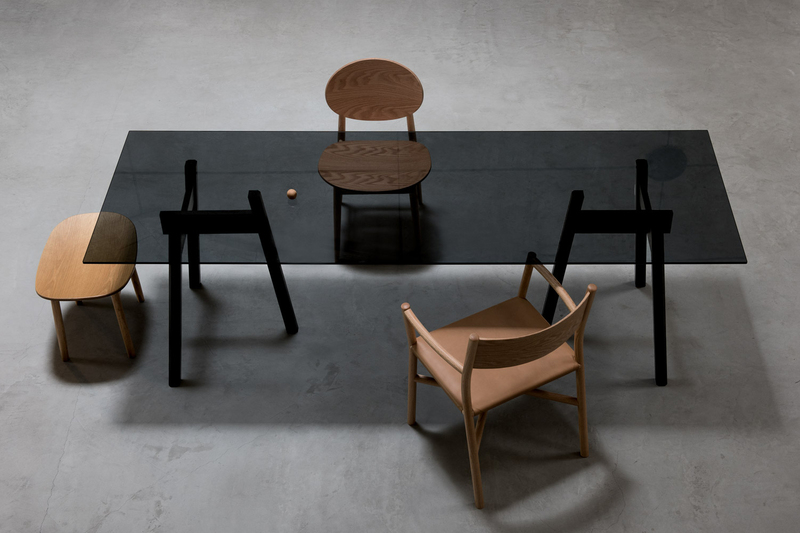 The three legs form a T-shape structure facing the center of the table for stability. 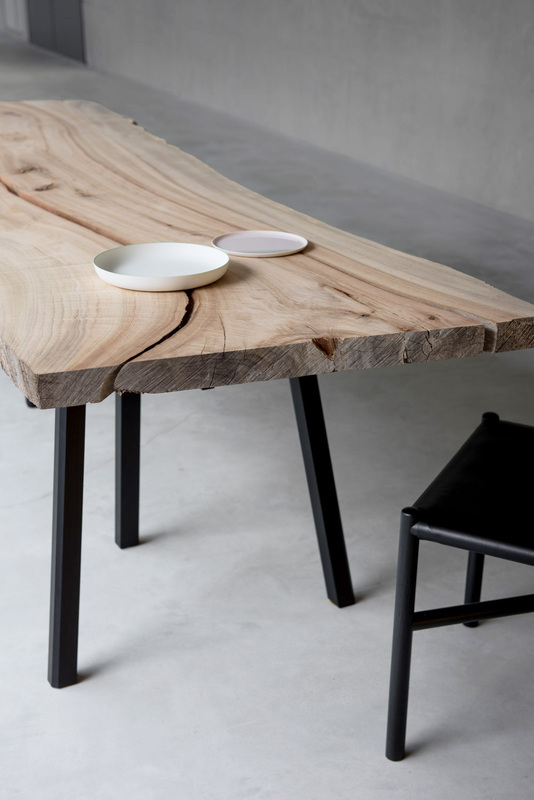 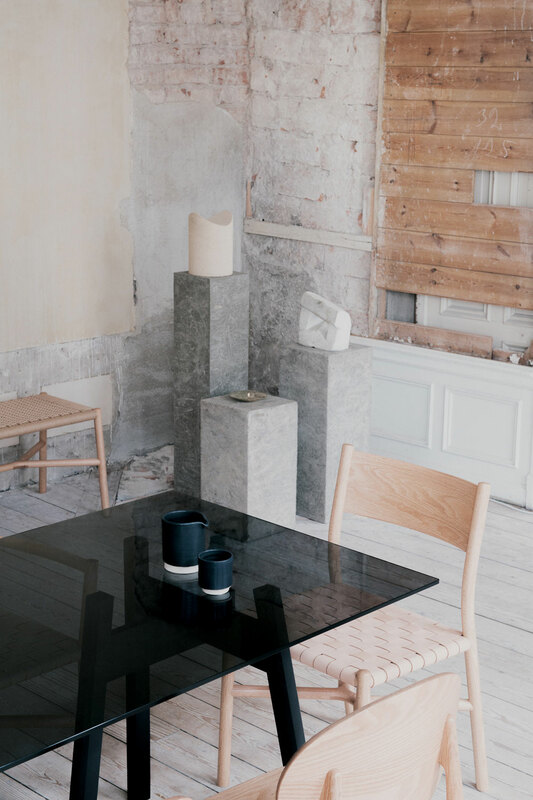 It is a simple design that complements tabletops with irregular shapes, as well as those that are rectangular.